After the vet visit we had at least a plan. My vet and farrier got together, went over the X-rays and my horse’s history and needs and we all agreed the best way forward is to be in metal shoes and pads for the foreseeable future. 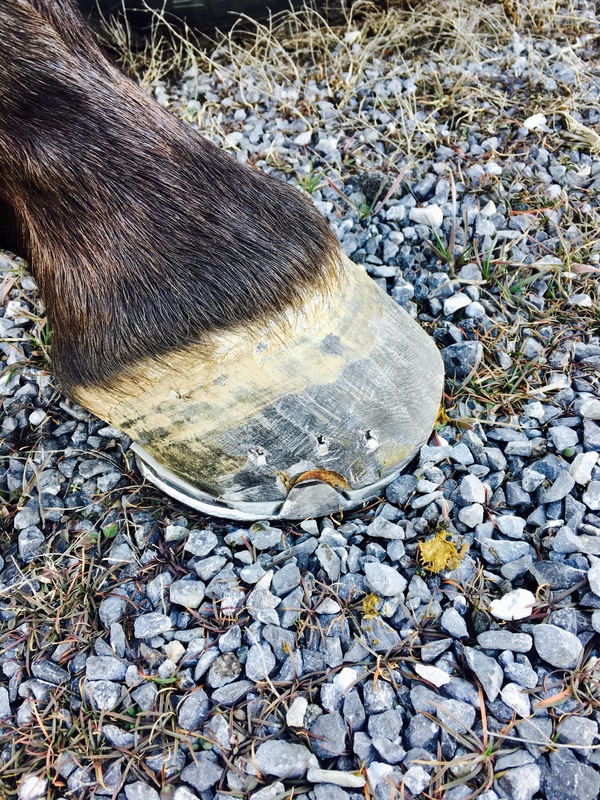 This will make her as comfortable as possible 100% of the time to give her a chance to grow some hoof in a better direction. Over time… at least a year… could be longer. Khaleesi getting more patient with the farrier each time. I asked him about the value of pulling shoes for winter and he said it’s common where we live- but then again not everyone is asking what I am from my horse. I guess now even my light riding isn’t really light. Each horse really is an individual. Some horses are just not going to do well – it’s genetic. Do you have to burn them on? She’s terrible with this… can we do less burning and work up to it this year? Yes we have to burn them on. And no. I need a good burn the first time out. They need to fit exactly- her foot needs to be 100% flat with no variations on the surface to cause any imbalance, and she doesn’t grow enough foot to chance losing shoes and having to make more nail holes than necessary. We were ready to sedate her if needed. Now that we knew it wasn’t painful due to thin soles, it was a matter of getting her used to the smoke and sound. And I was ok with sedating if that’s what it would take for her to be ok and get the protection we need. Bless the man and his endless patience though in the past this mare has dragged his poor body all the way down the barn aisle and also a good way around the front yard (we’ve tried inside and outside) We decided one last thing to try to this visit was in a stall. If she could stop fleeing long enough she may realize it doesn’t hurt and she’s ok. Just as we hoped, she backed herself into a corner and stood still while the shoe burned and with no where else to go she seemed to calm down. The second front shoe went the same way a little easier, and then we were able to do her rear feet just standing in the aisle. Jaime – she did real good today. Real good. Susan and I rode that afternoon and it was immediately noticeable that she was moving better especially when there were rocks. What I needed was a real test- not only of her feet but to see if she truly was still in shape and ready to take on a 50 in a couple weeks. 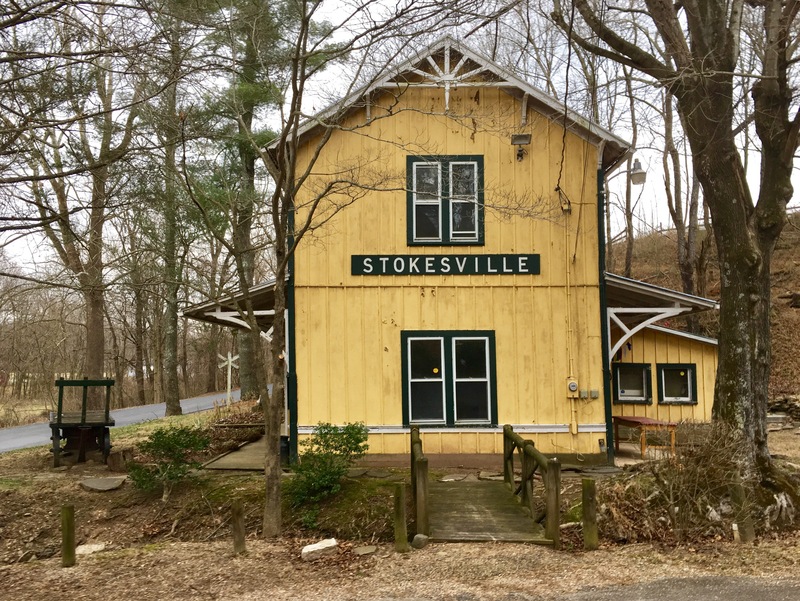 A group of endurance ladies were doing a 17 mile training ride not terribly far away; both my mentor and my vet were riding – great opportunity for us. I really try to stay ahead of her- but this mare can kick- so just be aware when passing us and I apologize in advance if she bahaves badly! 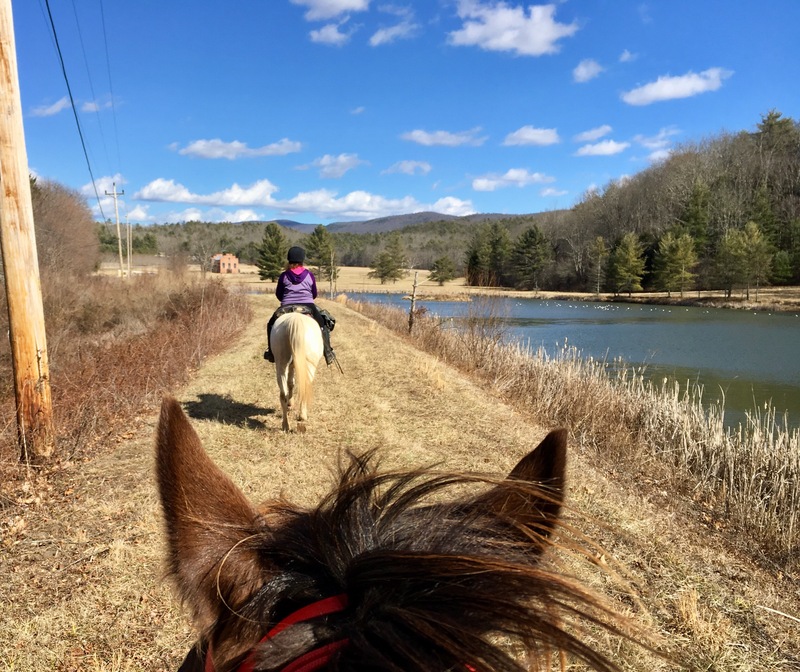 I am glad to report success: we rode back and front and middle – passed and was passed – and though she wasn’t always completely happy about it, and there was another little mare that didn’t like Khaleesi’s ‘tude and kicked out at us once (no contact), she did not kick anyone! 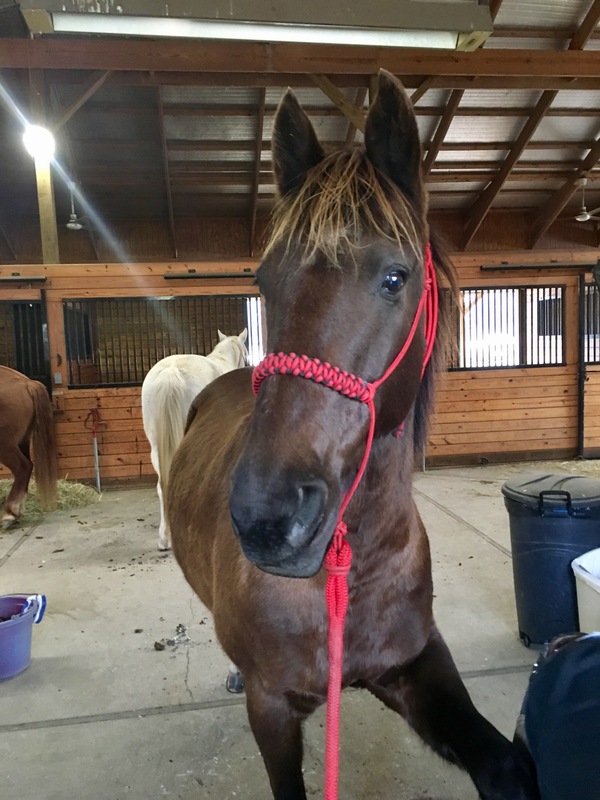 It is amazing how my low key horse who is perfectly willing to walk calmly 6 miles with Wild Heart and really isn’t even barn sour to get ‘hot’ heading home… yet what I see at home as my reliable sturdy get it done but Not particularly driven Metal Horse turns into this competitive raring to go Wood Horse. How did she do physically? If my heart rate monitor [HRM] is functioning properly then as she’s warming up she runs high. 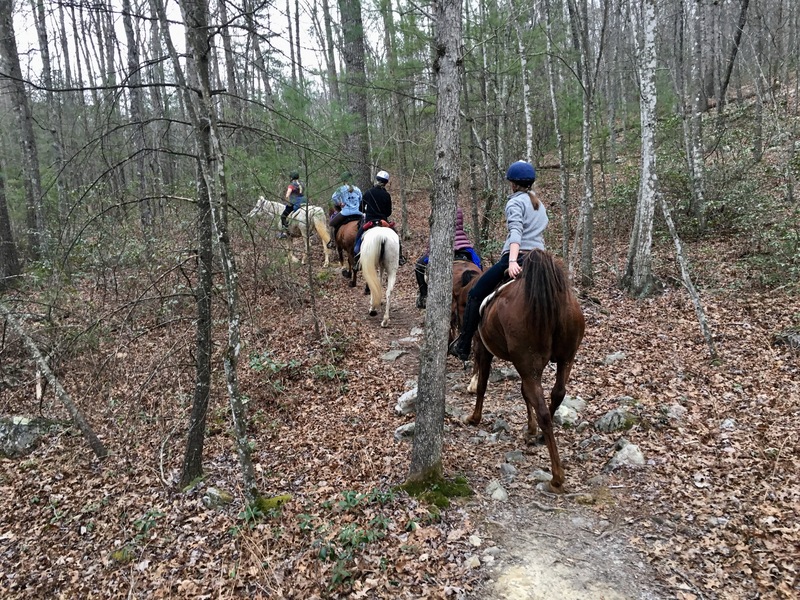 Also I think this is due to situational excitement – new trail, lots of horses… She can get up to 150-180 on a slight uphill warm up trot. As we worked she stayed in a comfortable range as we trotted along around 120-130. We did a fair amount of cantrotting because Kelly’s awesome horse Laz trots faster than K can so if we were next to him she’d canter a bit then trot a bit then canter a bit to keep pace. The real test was the logging road. It’s 2 miles of climb with great footing around the end of the ride. There were only two of us training for the March ride in the group (others had horses still not yet fit or coming out of big rides and were on easy ride/rest so not cantering) so we all decided that us two would separate for the hill to work on canter intervals and the rest would hold back then walk up the hill. 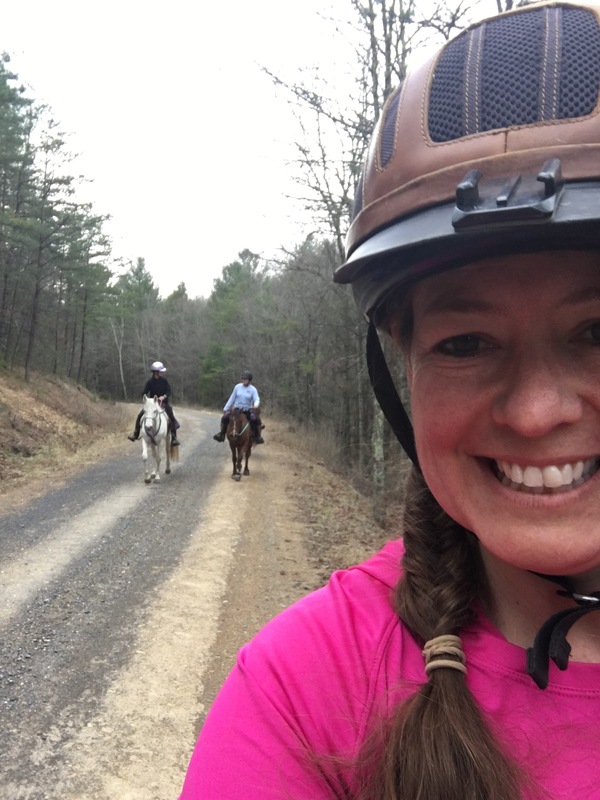 The great endurance rider and vet Jeanne Waldron passed along a conditioning ‘game’ to Lynne who has passed it on to me (and I’ll pass it to you!). 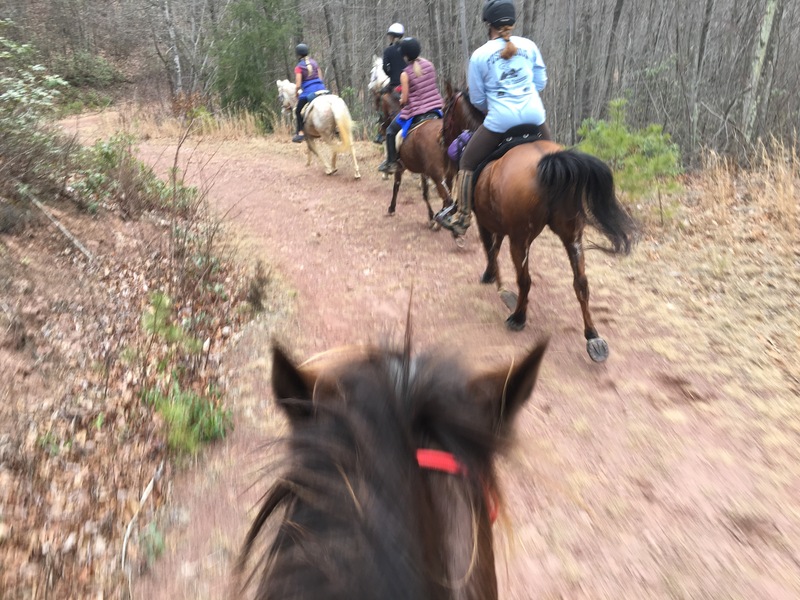 They take a hill and canter up until heart rate gets to 200bpm then they’d trot (I forgot this and we walked…) to recover to 150bpm then canter again. As fatigue sets in the horses will get to 200 faster, and as fitness increases they’ll take longer and longer to get there. Off we went with the two mares who eagerly began to race up the road. I watched my monitor and was surprised at how long it took before we got to 200bpm the first time. 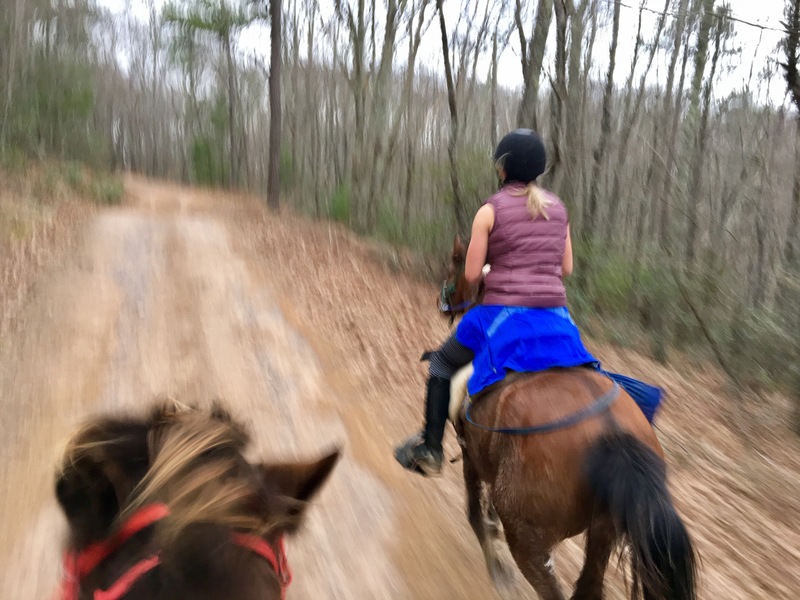 She would hold out at 185-190 then drop while cantering to 170… keep running girl… back up until finally hitting 200.
for 2’40” we cantered at an average speed of 10mph for 1/2 mile with an elevation gain of 170 ft before she hit 200. 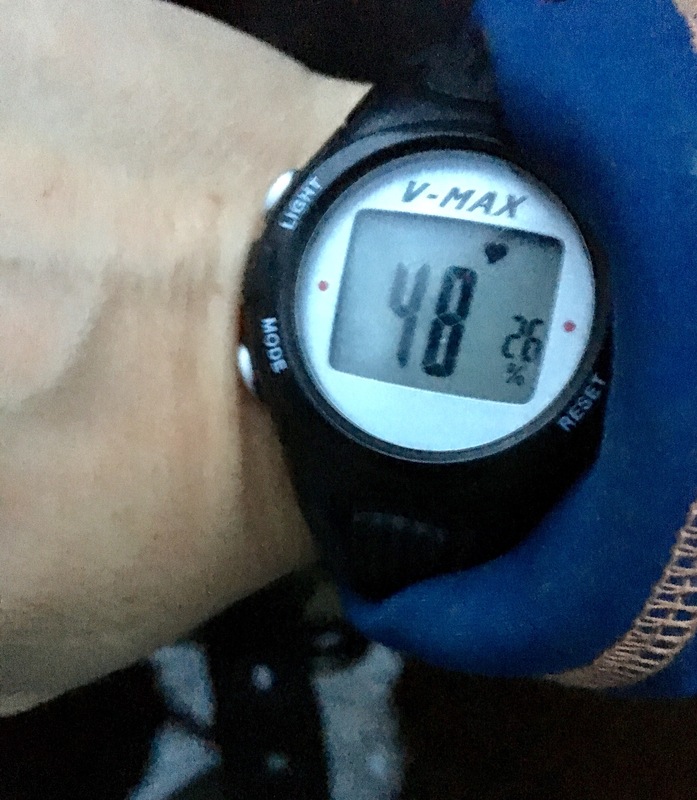 We slowed to a walk for 9 seconds to drop below 150 bpm then picked up the canter. Next leg: 2’14” for .4 mile at 11mph average elevation gain of 166 feet. Walked 23 seconds to recover. Next leg: 2’16” for .4 mile at 10mph average elevation 155 feet. Walked 10 seconds to recover. Last leg to the top: 2’55” for .5 mile at 10mph average with an elevation climb of 187 feet. We stopped at the top not quite up to 200 bpm. 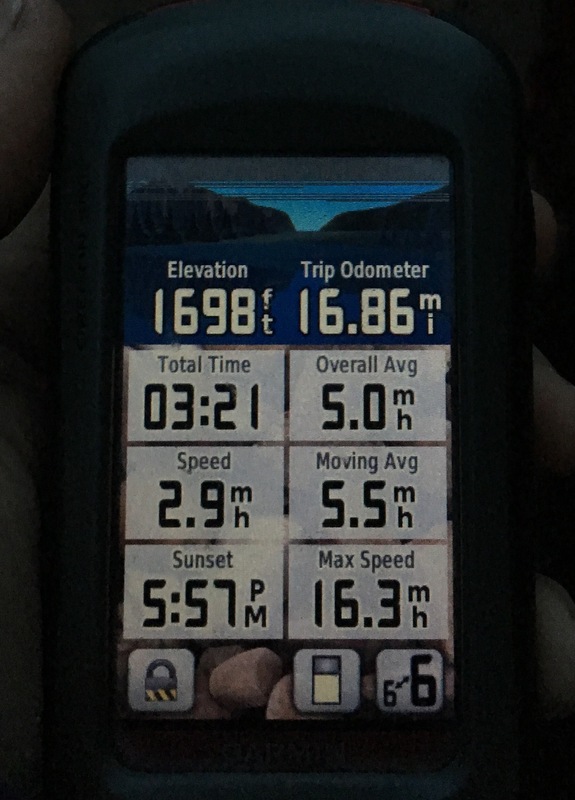 Just standing and some walking around up there waiting for the group we dropped to 64 bpm in less than 6 minutes. This was a good sign. She was way more fit than I’d thought she’d be. We had an easy 2 miles back to the trailhead for just under 17 miles at a respectable training pace. She dropped to 48 before I even had her saddle off. Lynne asked me more than once if I learned anything about my horse that day. As I thought that over I learned even more how competitive a spirit that little mare has – I’ve seen glimpses of it but boy did she show up ready to ‘win’ that day! Even though we purposely spent a fair amount of the ride in the back and she settled in there and did fine- she really wanted to get up front. 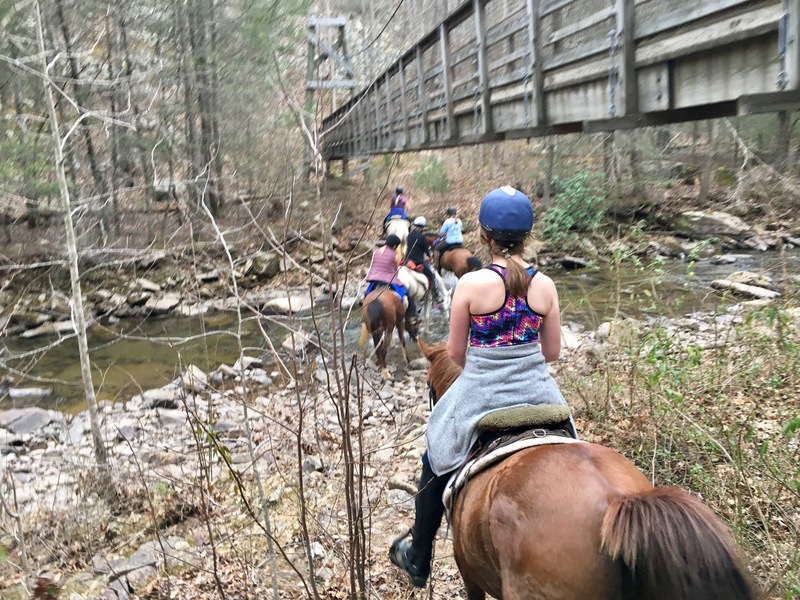 She wanted to lead- in fact the girl we took off from the group with said she didn’t know if her horse would go, that her mare may not leave the group. I assured her she would when mine started and true enough. I knew Khaleesi was more than happy to canter off and run on ahead. And that little mare picked up and ran with us without hesitation. I also learned once again for myself that the endurance rider drumbeat of rest rest rest is just as vital to success as they all say it is. 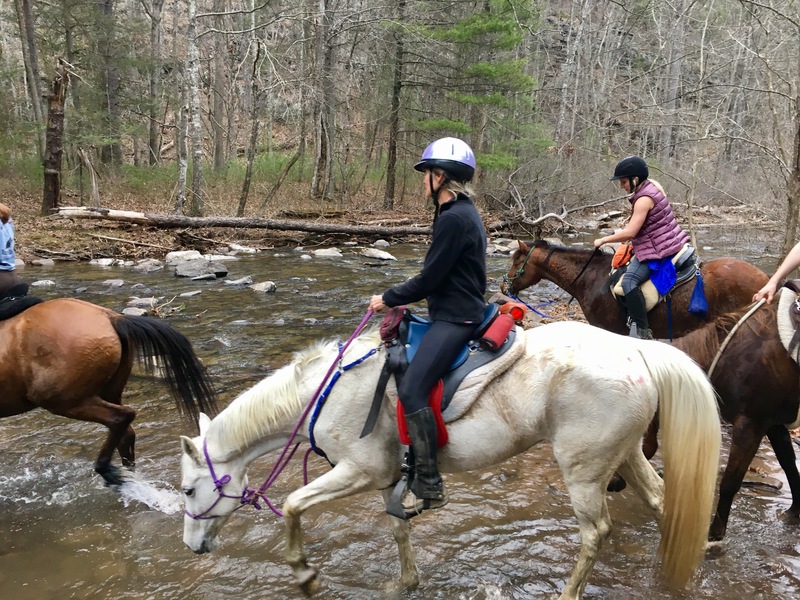 I’m just as amazed at what these horses are capable of- long distances at speeds and multiple days of it, and the secret isn’t nearly as much in the training as it is in leaving ample recovery time. I used to feel guilty as a trail rider not to be on my horse keeping fitness 4 or 5 days a week. Now I see that probably didn’t build fitness but actually can break down fitness. 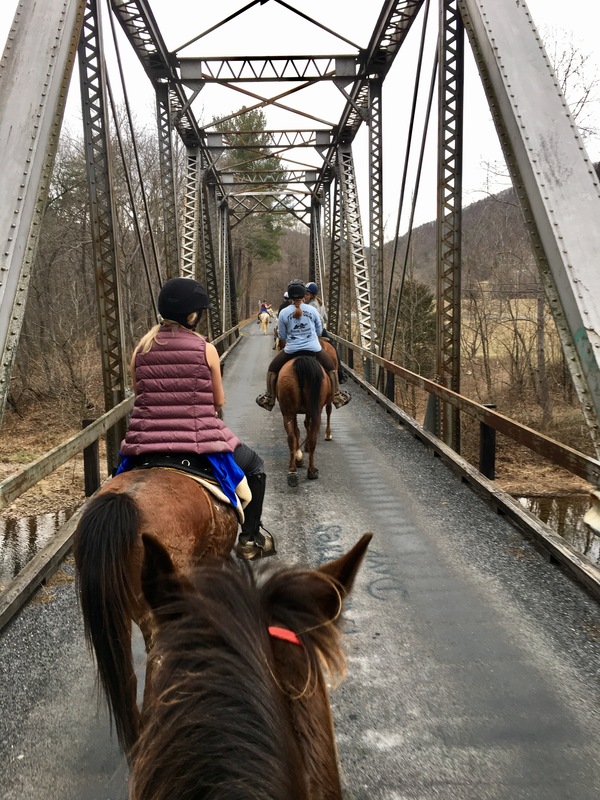 Of course we did a lot of walking and that helps – but now I understand that to really have a fit horse the best plan is to start slow 3-4 days a week for a while (a couple months) then to increase fitness you really need to get some longer intervals of speed worked in. And then once the conditioning base is there it’s better to ride a good long ride once a week and one or two smaller rides and leave them be in between. Yes I hear this all the time but it’s so opposite everything I thought before- and it’s contrary to our human experience. 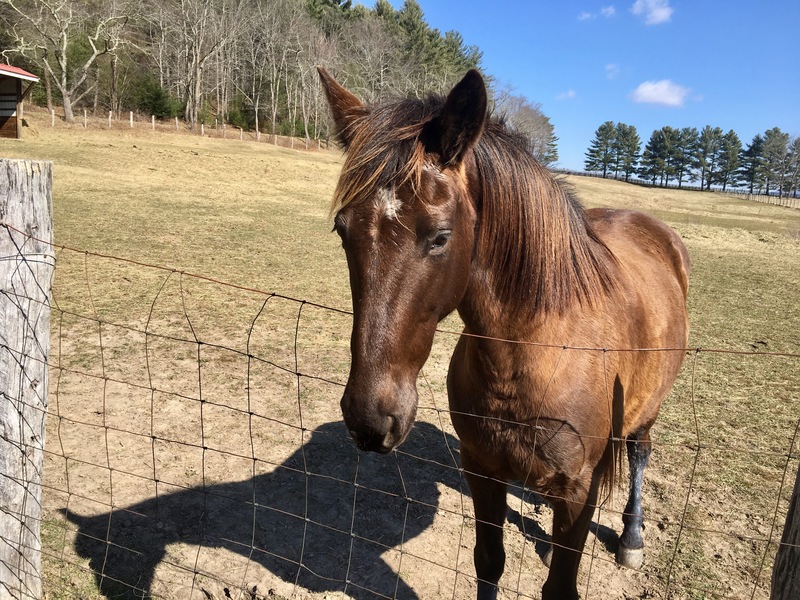 Many endurance riders are also distance runners and they often remark that just a week off training changes their fitness drastically but a fit horse can take a month off in a pasture and come back still about the same as they went in. It’s not the same- humans to horses. So the more I do this the more that truth goes from something I’ve heard and get in my brain to something I truly believe and have seen with my own experience. After the ride I rubbed a poltice on her legs because it couldn’t hurt- this was more distance and speed than we’d done in a while. This was the kind of ride that could cause some fluid build up. Then I put her fleece sheet on because she was damp (though not nearly as sweaty as I’d have thought) and we had a long drive home and the temps were only going to drop. 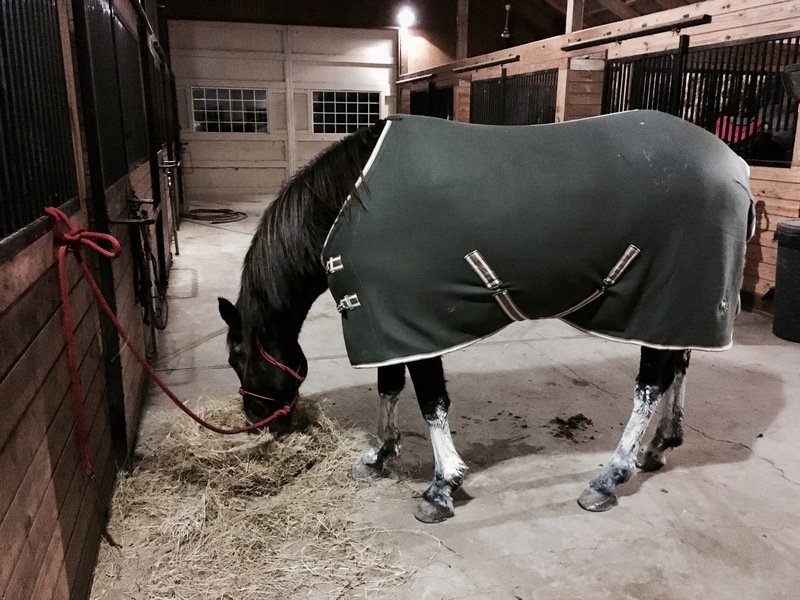 Back at the barn snack before I took off her blanket and turned her out. When I turned her out at home she was awake and didn’t seem at all tired. She trotted right over to take a big drink before a roll. The next day I visited to wash the clay off her legs and see how she was doing and she was completely sound and her legs felt cool and tight. She was her bossy self insisting to be fed first and chasing Wild Heart away from the fence area where her food dish waited empty for me. I’m pleased. She is ready for an easy 50 to start the season. Kelly thought she did great, that her feet looked good, and said if all goes well we should try for a two-day 100 late in the season- maybe fort valley. Never know what will happen as the year progresses, but for the moment I’m feeling pretty good about this year!